This amazing pattern was created by Tamara Kelly and published just few days ago. The Brown Butter Shawl is made of a bulky weight yarn, so it works up very quickly. The pattern is good for beginners but advanced crocheters won’t be bored 🙂 Fun to make, and beautiful to wear. Enjoy! Link to the free pattern is below. 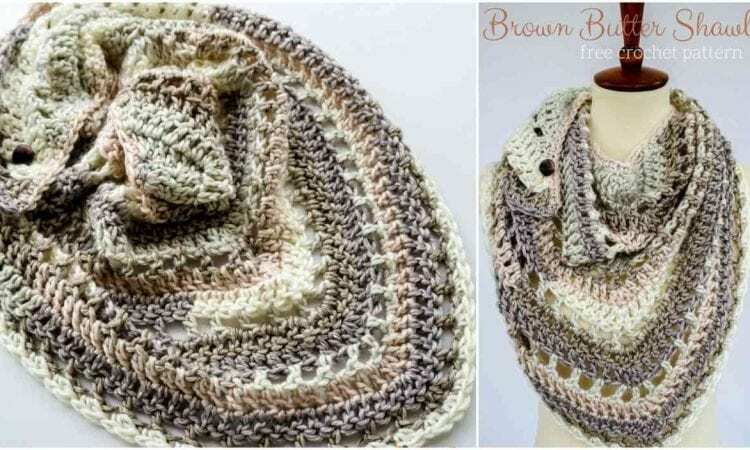 Brown Butter Shawl – Free Crochet Pattern is >>here<<. Don’t forget to Like us on Facebook. Share your ideas and your work on our Facebook group!